Last headshot of 2013: The Author as Jewish Rebel! | AUTHOR. ACTOR. SWORDSMAN. ← Haircut 100 – Ah, the Early 80’s! Last headshot of 2013: The Author as Jewish Rebel! Tis the season… so I thought I might put out this shot from the archive. Vaguely appropriate – I was playing a Judean Zealot at the time of Our Lord. 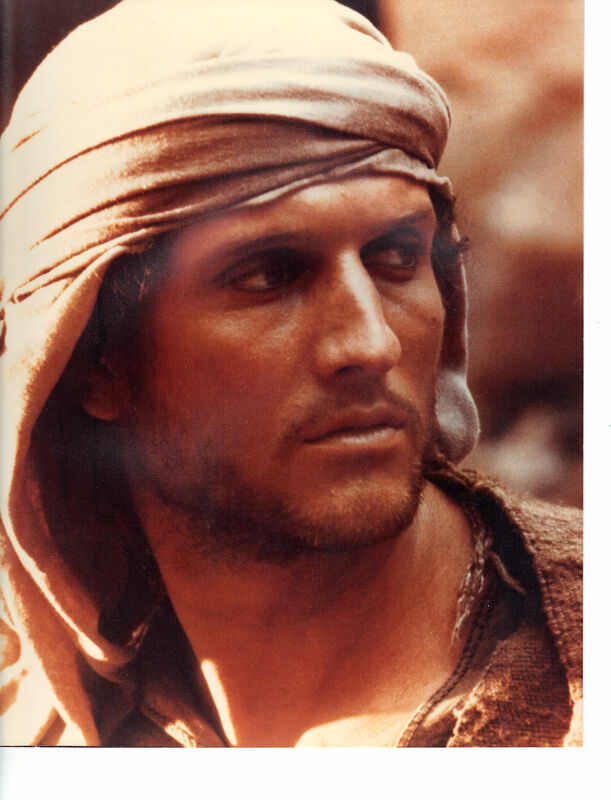 In fact my first scene in the Biblical Roman epic ‘AD-Anno Domini’ that this photo is from had me running past Calvary just as the cross was pulled down. OK, that’s Easter, I know. But there I was – my first big international role. Caleb – the rebel who becomes Rome’s top gladiator (that shot to come). 1983. Ten months in Tunisia. Working with amazing people – Hollywood old guard like Ava Gardner, James Mason. Then current stars Susan Sarandon, Ian McShane. I will tell you more about AD on another post. For now I’ll just pause and look at who I was then – I had Italians, the best make up people in the world who made me look terrific every day. I was 27, never fitter. And the world had just opened up in a very large way. Because this was the role that took me to Hollywood … and a very long story. To be continued… Happy New Year everyone! This entry was posted in Uncategorized and tagged acting, author, books, films, historical fiction, history, Inspiration, writers. Bookmark the permalink.